Their proximity aside, there are usually other reasons why we love our favourite local restaurants. You know that a warm welcome awaits on arrival, both the surroundings and menu are comfortingly familiar, and you are always made to feel at home. 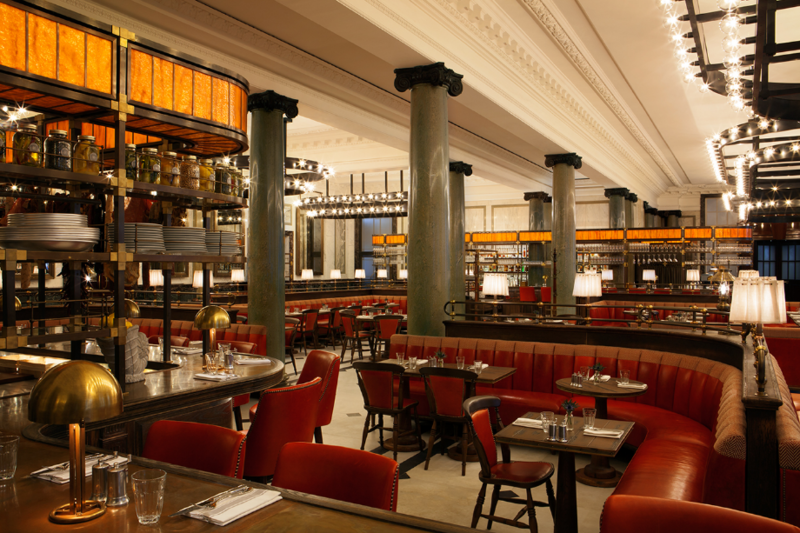 In spite of its central London location in the glamorous-but-not-gaudy Rosewood Hotel, Holborn Dining Room has successfully captured this lovely local vibe. Since the brasserie opened in 2013, many column inches have been dedicated to Executive Chef Calum Franklin’s awesome ability to turn flour, water and butter into edible art. 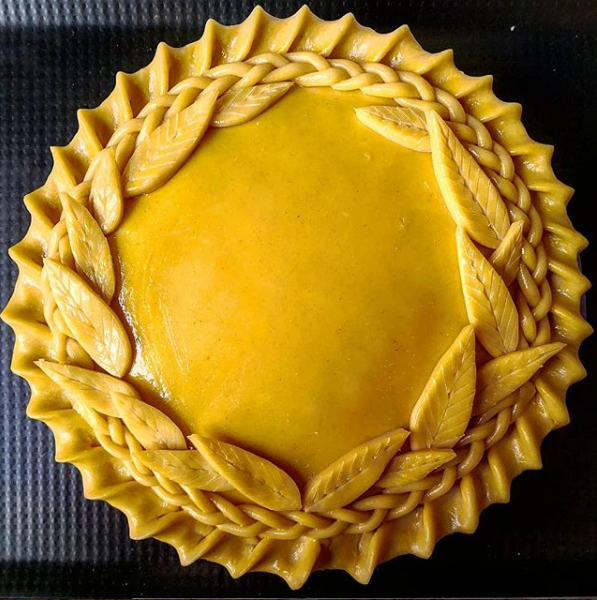 A quick scroll through his Instagram feed proves that pies – which were once seen as stodgy and globally ridiculed – can be pretty and popular. With latticed patterns inspired by mathematics-loving Dutch artist MC Escher and traditional British fillings, these pies pull in even more crowds thanks to an on-site Pie Room. 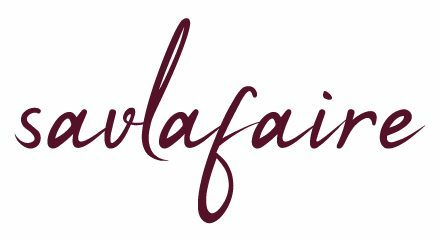 Unlike many creations that are widely revered on social media yet end up tasting of PR hype, sponsored endorsements and wasted cash, these are worth writing home about. That said, I didn’t get my first nibble until my second visit as I had promised Chef Savla that I would wait to try them with him. Which was probably a good move as it steered me towards the shrimp burger; a juicy patty in which the seafood hadn’t been blitzed into oblivion and so retained its fleshy texture. My friend’s vegetable spelt risotto was surprisingly light and flavourful. Chef Savla and I have since dined here three times together, the first time being our wedding anniversary. The sensual ruby-red leather banquettes with a touch of tweed, low lighting and copper-topped bars and fittings make it the ideal venue for a special occasion. And what better way for us to celebrate than with a chunky slice of Welly? 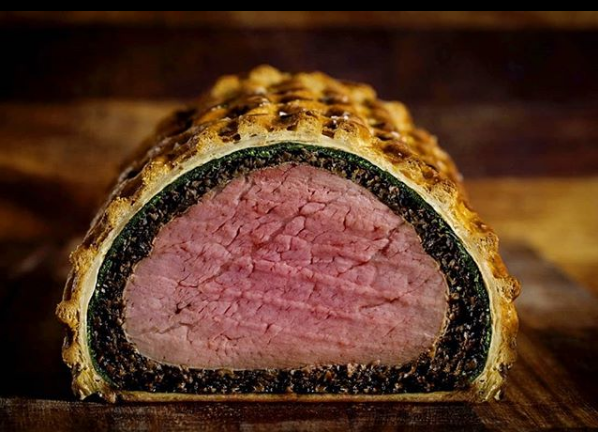 Truly rare 40-day dry aged beef fillet, a painstakingly perfect duxelle packed around it and the whole lot lovingly enlaced in puff pastry. Wait, there’s more: you get crispy roast potatoes and a jug of gravy to accompany it. This is how you do “pastry deviance” to quote Calum, and one mouthful of this would silence the foolish few who still doubt London’s culinary capital status. Another memorable occasion was Christmas Day 2017. Having always dreamed of dining out on this day, my wish finally came true; better late than never, Santa. There was more lobster thermidor tart, and potted foie gras with Calvados jelly and gingerbread to start. 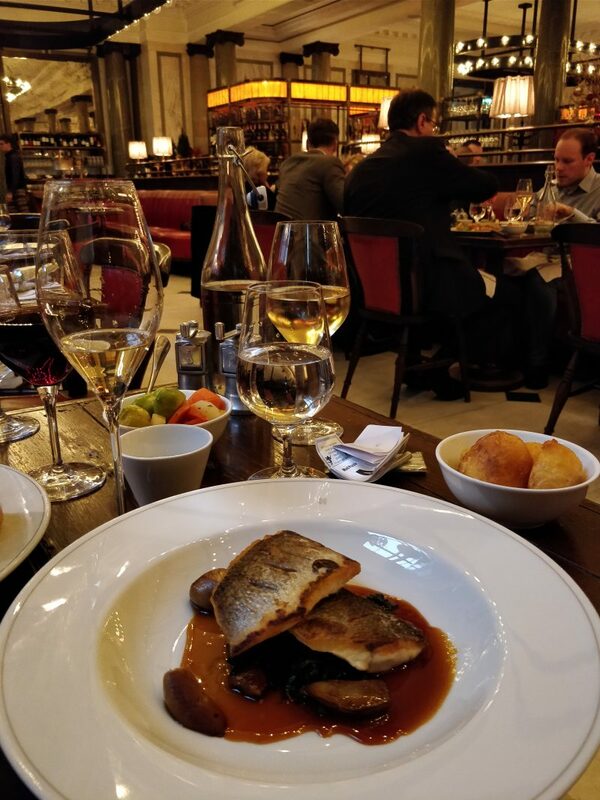 We stuck with meat and fish for our mains again: a “Club Cut” ribeye with the classiest onion rings and vegetables (#BalancedDiet) and wild sea bass with roast ceps. The almost dinner plate-sized beefy beauty took on a deep toffee shade as the gravy dripped down the sides and pooled around it. But not a single morsel went to waste. 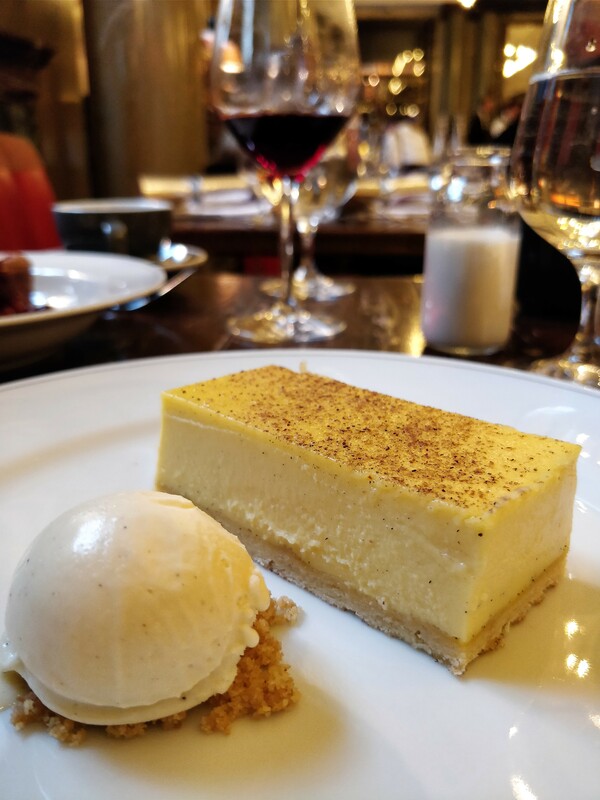 Similarly, the spiced custard tart with eggnog ice cream and Valrhona chocolate fondant, out of which tumbled some sour cherries, were dispatched with devotion. 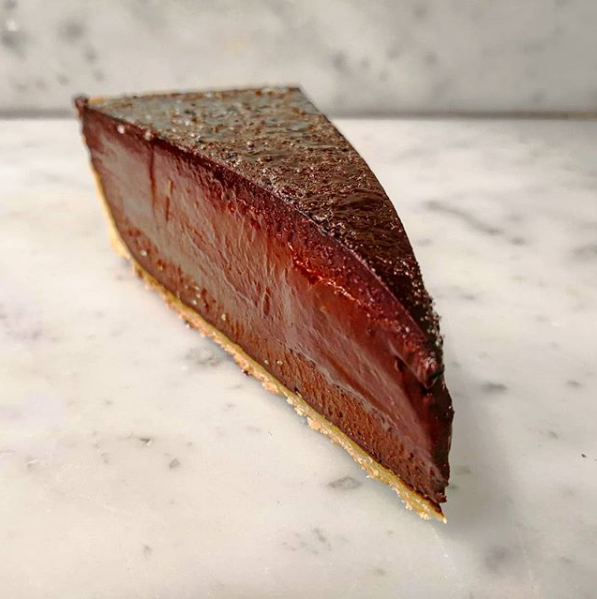 Fellow dessert lovers, particularly the chocoholics among you, will want to order multiple portions of the Pump Street chocolate tart with booze-soaked cherries. 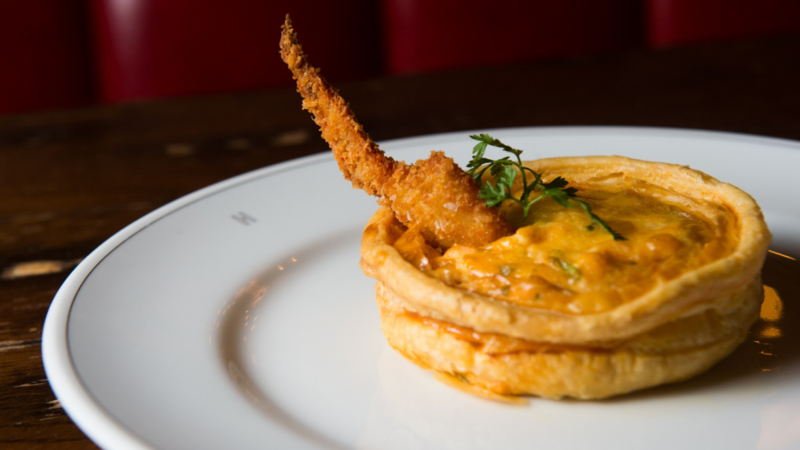 Instead of the usual thick pastry and dense filling, the Holborn Dining Room version is remarkably delicate, so you practically skip out of the place rather than hunching over to hide your temporary capacious paunch. Even when confronted with issues, front of house remains unflappable. On Christmas Day, we left without having had our mince pies, an error which was swiftly and charmingly resolved by preparing full-sized ones for collection at our convenience. During our last dinner, a man whose back was accidentally covered in water was promptly provided a new shirt. 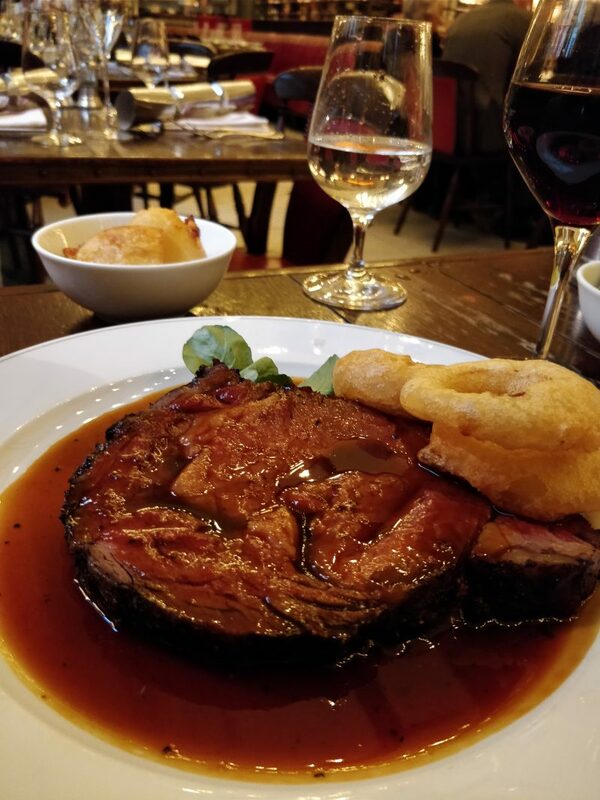 In a city where eating out is practically a competitive sport, Holborn Dining Room consistently bring their A-game. I’m ready to move in. Budget: Average meal costs £40-50 pp, including drinks and service. Having recently turned my hand at pastry making, I absolutely have respect for anyone who can do it as well as C.F. Such skill – and his creations taste amazing to boot! Thanks for this delicious post! I’ve only made pastry from scratch a few times and it really is a labour of love, as you say! Really pleased that you enjoyed the review, Aaron.